Remember the previous TTPlayer post about the 5.3 BETA version? Now the OFFICIAL STABLE version 5.3 is released. Basically is a newer version, more minor feature added, some skins added, and some bug fix. So i skip the update log here. 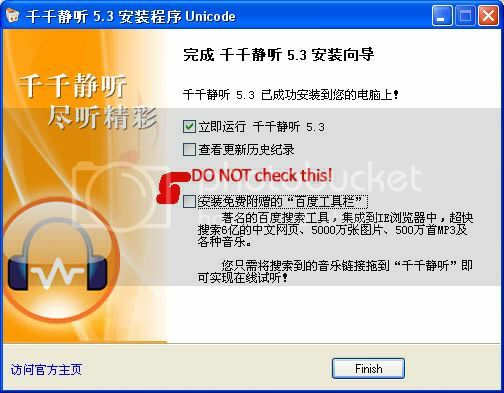 Some ani-virus DO notify that this setup is a VIRUS because of it contains the BAIDU TOOLBAR which IS an unwanted application. So to avoid that application installed on your PC, please uncheck the lowest column at your install success screen. Want to learn more about this application? your file totally cant download/open. WTF? Do you know how to remove baidu toolbar? isnt that i told you not to install? I have totally no idea….